Hero-U: Rogue to Redemption is an upcoming hybrid RPG-adventure game by none other than Lori and Corey Cole, the creators of the groundbreaking series, Quest for Glory, which first hit stores in 1989. After four years and two successful Kickstarter campaigns, the first in a planned series of games that will see players returning to the universe of the classic Sierra adventure games is nearing completion with a backer-exclusive Alpha test just around the corner. The Coles were gracious enough to take a break from their crunch to chat with me about Hero-U and the unique challenges that have come along with it, including funding a large portion of the game directly out of their pockets, managing a largely remote development team, and combining two dramatically different game genres to create something that looks truly special in today’s gaming landscape. Thanks so much for taking some time to chat with me about Hero-U. With your most recent update on Kickstarter, I get the sense that you and your teams are really in crunch mode now, so I’ll try not to monopolize too much of your schedules. For my own part, Hero-U: Rogue to Redemption is a project that I’m very emotionally invested in. It’s one of only a handful of Kickstarter projects that I’ve backed and for good reason. I grew up playing the Quest for Glory series, and I mark it as one of the most influential works of fiction in my life. As a kid, I used to daydream about one day becoming a paladin. Naturally, I jumped on board as soon as I heard the Coles were planning a return to the universe I had fallen in love with so many years ago. First off, can you tell me what the original catalyst behind Hero-U was? Have you guys been wanting to return to the Quest for Glory universe (i.e., Gloriana) for a while, or did you originally conceive of it as an entirely independent story and setting? A fan who is now a successful fantasy author – Mishell Baker – co-wrote the first of a planned series of young adult novels loosely based on themes in Quest for Glory, “How to Be a Hero”. Mishell came up with the idea of a web site to promote the books, and Lori and I later took it over. We expanded it into the School for Heroes website and thought we should make a game based on that. So the roots reach back to Quest for Glory, but are quite distinct from it. In particular, I’ve been very careful to avoid anything remotely resembling infringement of Activision’s copyrights on the Quest for Glory games. Gloriana is “our world”, going back to D&D games we ran at least a decade before we started work on Hero’s Quest / Quest for Glory. One of two worlds actually – we had another “pocket universe” in the parallel world of Coriann, whose amazingly creative name comes from “Corey” and “Lori Ann”. As a project, Hero-U outgrew the original Kickstarter pitch almost immediately. I remember some reluctance to even call the original version an adventure game, and you were demo-ing (if memory serves) a sort-of turn-based combat system. 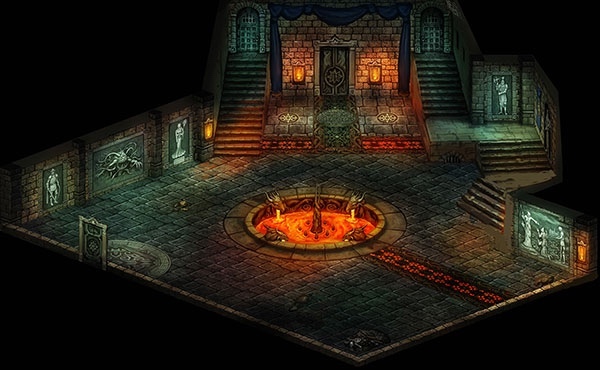 Now it’s a full-blown adventure game and RPG hybrid like the QFG series was, which was always something that was unique to those games. How does Hero-U: Rogue to Redemption combine elements of both genres in new and interesting ways? As for “outgrowing”, I think we were overly ambitious from the start. The Kickstarter campaign barely met its goal – a fraction of the budget of a normal adventure game – and we pretty much promised a game as rich as a Quest for Glory to get there. We modeled our campaign after Broken Age (the “Double Fine Adventure”). That campaign got 8 times as much as we did, and still ended up going over budget. Our proposed one-year schedule was based more on the budget than on reality, but we always wanted and intended to deliver much more game than could realistically be done under that budget. Combining adventure and RPG was probably a silly idea. Then again, combining RPG and adventure in Quest for Glory was crazy too. This time, we have turn-based combat that is more tactical than in Quest for Glory. We also have a broad selection of weapons, armor, and other combat tools that QfG did not provide. Hero-U is different from most adventure games in that we’ve mostly avoided having arbitrary puzzles. There are a few “find this and use it to solve that” puzzles, but mostly the game is about exploration, discovery, and relationships. Oh, and fighting bad creatures for riches and glory. 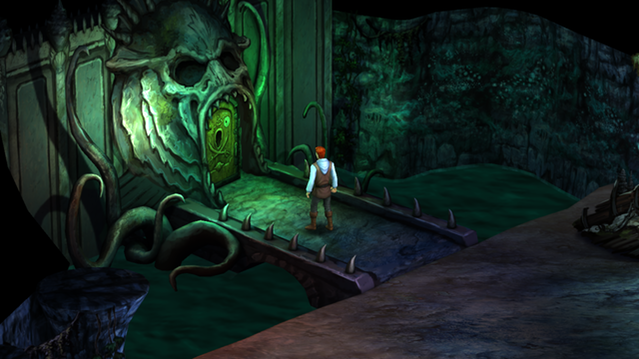 Most of the combat is optional; players who want a pure adventure game can stealth past the monsters and focus on discovery. How has the overall feel and tone and atmosphere of Hero-U changed for you in terms of writing, artwork, and gameplay (both conceptually and in development) since you first started? The changes we made in Hero-U from the original concept were mostly forced on us, but we’re very happy with the improvements they made. The original programmer quit a month into the project, followed shortly by the lead artist, both for personal reasons. 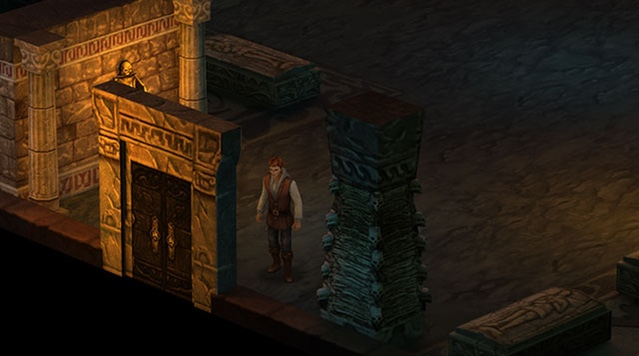 Terry didn’t like the cartoony flat tiled graphics, so moved us to pseudo-3D isometric art. The programmers we brought on had a hard time making that work, and I had a hard time finding excellent 2D animators. Eventually that forced us into going almost-full 3D. This added a lot of additional time and expense to the project. It’s actually reminiscent of Quest for Glory V, where we changed graphics and development engines two or three times, and the game took two extra years and $3 million more to develop than the original plan. Other than the visual look, we’re actually making the game we originally proposed on Kickstarter. However, we made a lot of promises that have turned out to be very time-consuming. In particular, our focus on social interactions with other characters requires a huge amount of dialogue. Total game text is on the order of the largest Harry Potter novel – Order of the Phoenix – 255,000 words and climbing. I understand Lori does most if not all the writing in the game? That sounds like a monumental task! How do you manage it? Lori wrote essentially all of the dialogue in Quest for Glory with just a few contributions from me, and she is doing the same on Hero-U. This is possible only because we’ve stretched the schedule – she’s been at it for over four years and is *almost* done. I had planned to write all the non-dialogue text, but that’s been a challenge. Fortunately, Josh Mandel joined the team and has taken over the lion’s share of writing descriptions and object interaction text. I doubt you’ll be able to tell his writing from mine in the game; we have similar styles. Josh previously contributed much of the writing in our Shannara game. Because your team seems more dynamic than one might find in a smaller project, but also markedly different from some AAA game dev studios or when you were both at Sierra, what challenges has that presented for you, and how has it enhanced the (near) final product? It’s been very challenging. Many terrific team members left the project for better paying or longer-term opportunities. Each time that happens, we’ve lost knowledge and expertise, and had to search for new developers. I’m very happy with the team now, and I’m hoping they’ll all make it at least to release. If the game sells well enough initially, we hope to keep most of them on for the rest of the series. At Sierra, when it became clear we needed more people, they assigned more people to the team. It’s much tougher as an indie long after we paid out the Kickstart funds. Now Lori and I are paying team members out of personal loans and our own rather shallow pockets. Once the game releases, we might or might not make some of that back. That’s a lot different from working for a company on a fixed salary. Final questions. First, do you have any plans for immediately after Rogue to Redemption launches? You’ve said before that you envisioned Hero-U as a series of games, for example, but do you think you’ll head right back into development on the next game? We have a ton of work ahead of us after launching Hero-U: Rogue to Redemption. We’ll need to work with distributors, try to get publicity, fulfill physical orders such as game boxes, posters, and art prints, fulfill new direct orders, and so on. We owe a visit to a fan in Germany as a Kickstarter reward, and hopefully we can meet with European gaming press while we’re over there. What we do after that depends on initial success of the game. We might add foreign language localization, speech, ports to consoles or tablets. Then we’ll get started on the design of Hero-U 2: Wizard’s Way. But if the first game sales are dismal, we’ll instead refund pre-orders of the second game and try to figure out how we can dig our way out of massive debt. Every game production is a gamble, and this is a distinctly personal one. We are very thankful for our backers who have enabled us to take on this ambitious game project, and we are doing our best to give them a beautiful and fun game experience. One last question: will we see any Liontaurs in Hero-U? There are no Liontaurs currently enrolled in Hero-U. However, there are many statues and paintings commemorating famous people, fabulous creatures, and Heroes. And of course quite a variety of fantastic and terrifying creatures guarding the dungeons and catacombs beneath the castle.